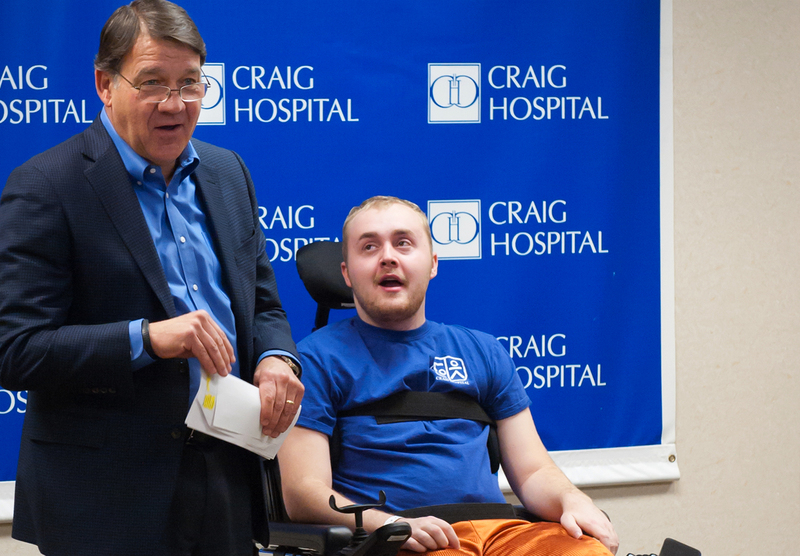 Englewood, Colo. — Cameren Nelson, a Craig Hospital patient, was presented with a new power wheelchair at an event at Craig on Nov. 19. The chair was donated by the Darrell Gwynn Foundation. Nelson is the 14th Craig patient or graduate to receive a wheelchair through the Foundation.